Today if you look around the tablet market there is no dearth of choice. Right from the budget tablets with basic features to the high-end premium tablets that are loaded with the most advanced features, you can find it all. The Android and the iOS powered tablets are the two most dominant players in India but then there is a third OS, which is currently a dark horse but definitely a force to reckon with, which is the Windows OS. 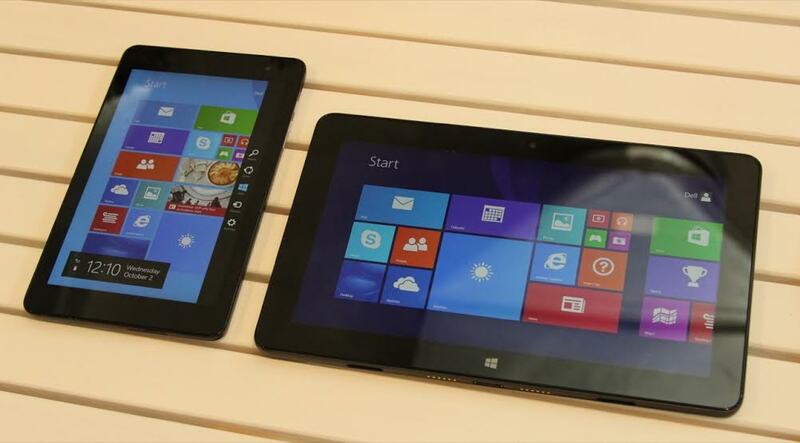 The windows tablets although are not as popular as the Android and iOS phones right now, they are slowly but surely climbing their way up on the popularity scale. This amazing tablet features a huge 8 inch IPS LCD multi-touch display with a resolution of 800×1280 pixels. Under the hood of this slate is a 1.3 GHz quad-core processor, Intel Atom Z3735D and a 2GB RAM. With such amazing configuration you can run the app with ease and enjoy multi-tasking without any hassles of the device getting hanged. With the tables you get full one year subscription of MS Office for free. The 5MP primary lets you click amazing pictures and a rear2MP camera makes clicking selfie easy. The 16GB internal memory provides sufficient space to keep all your files saved. Toshiba is a well known brand that has the reputation of producing cutting edge products with the most advanced features. This tablet sports an amazing 8 inch tablet with 1280 x 800 pixel resolution screen. The Atom quad core processor and 1 GB RAM packs a powerful punch. If you love to click pictures you would surely be enthralled with the supreme quality pictures you can click with the 5 MP camera and 1.2 MP front camera that makes video calling and talking selfie easy.